Choosing Premium Assistance: What Does State Experience Tell Us? 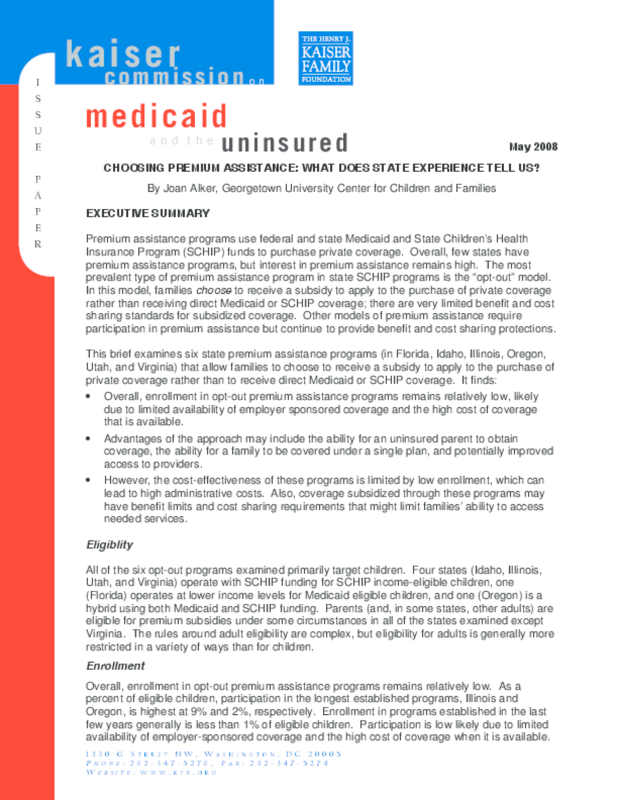 Explores the cost effectiveness, advantages, and limitations of six state premium assistance programs in which families can choose to receive a subsidy for private coverage instead of direct Medicaid or State Children's Health Insurance Program coverage. Copyright 2008 Kaiser Commission for Medicaid and the Uninsured. Title: Choosing Premium Assistance: What Does State Experience Tell Us?